I’m very proud of the fact that my little red heads have never had a sunburn. Granted, Elizabeth is only three and Joseph is a mere seven, but in all the time I’ve been their mother, they have not gotten a sunburn. In a not so coincidental turn of events, I’ve never had more sunburns than I have since having children. Last night, after a fun filled beach adventure complete with sandcastles and sandwiches, I applied aloe vera to the previously brilliant white skin on the back of my arms and came to the conclusion that, like so many other aspects of motherhood, remembering to apply sun block to oneself is in the same category as remembering to eat something other than left over, stale toast or cold chicken nuggets. There’s no doubt in my mind that mothers should take care of themselves. Too often, though, that “taking care of herself” idea is thought to be things like manicures, massages, a hot shower alone, exercise. What’s not often taken into consideration is that the things we do for our kids, we often don’t find time for ourselves. When is the last time you’ve made a playdate for yourself and your girlfriends? When is the last time you’ve looked into an enriching program for yourself? When is the last time you made a meal that catered to your tastes? 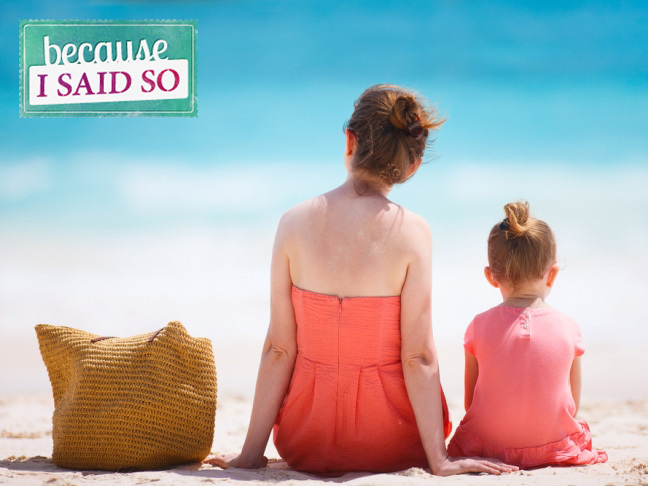 I don’t know why—perhaps it was the searing pain in my arms—but it dawned on me that perhaps, on Mother’s Day of all days, it was good to remember to take care of myself, to apply the sun block as often as I do for my children, to look into a class or activity that will enrich my life, to make a meal filled with vegetables.